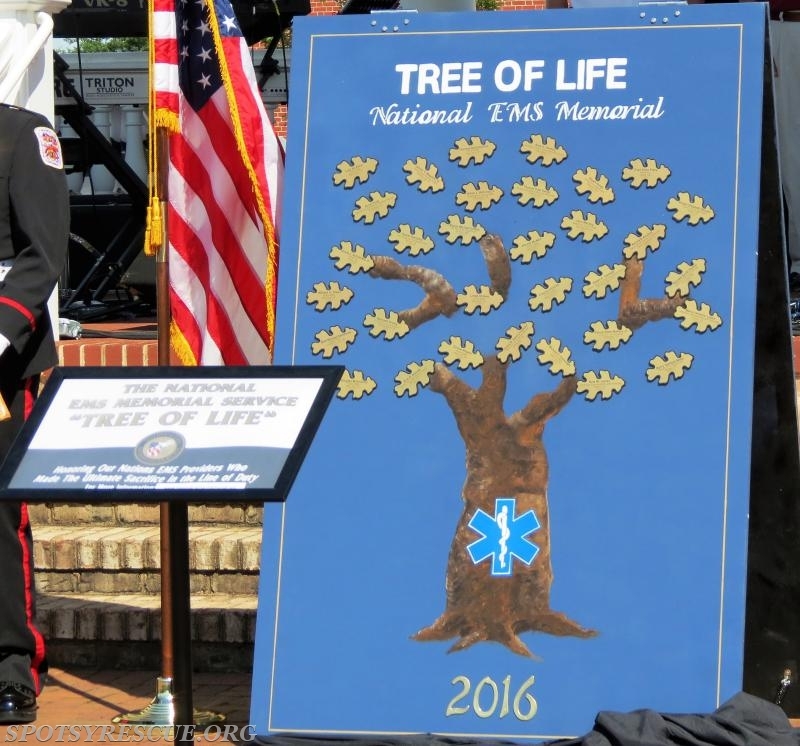 On July 2, 2016, The National EMS Memorial “Tree Of Life” was honorably transported by members of the Chancellor Volunteer Fire and Rescue Honor Guard from its current home in Stafford County to Spotsylvania County. 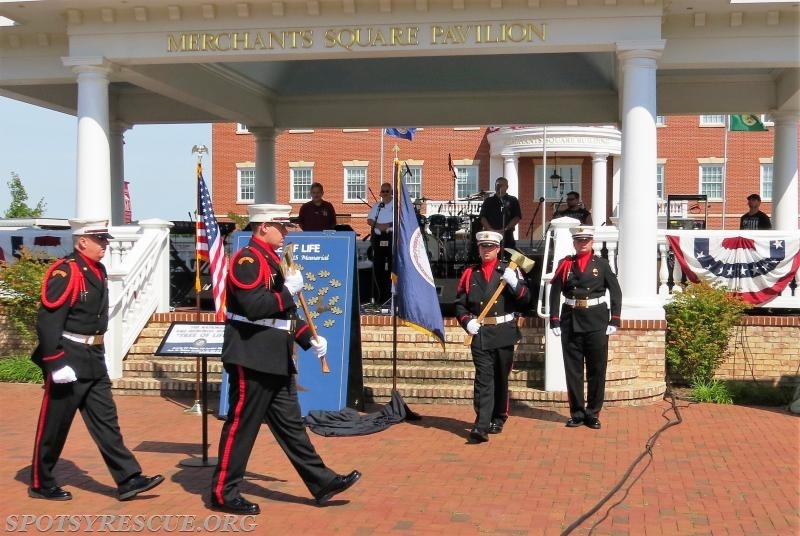 It was displayed during a special "Stars and Stripes" ceremony at the Spotsylvania Merchants Square Pavilion. 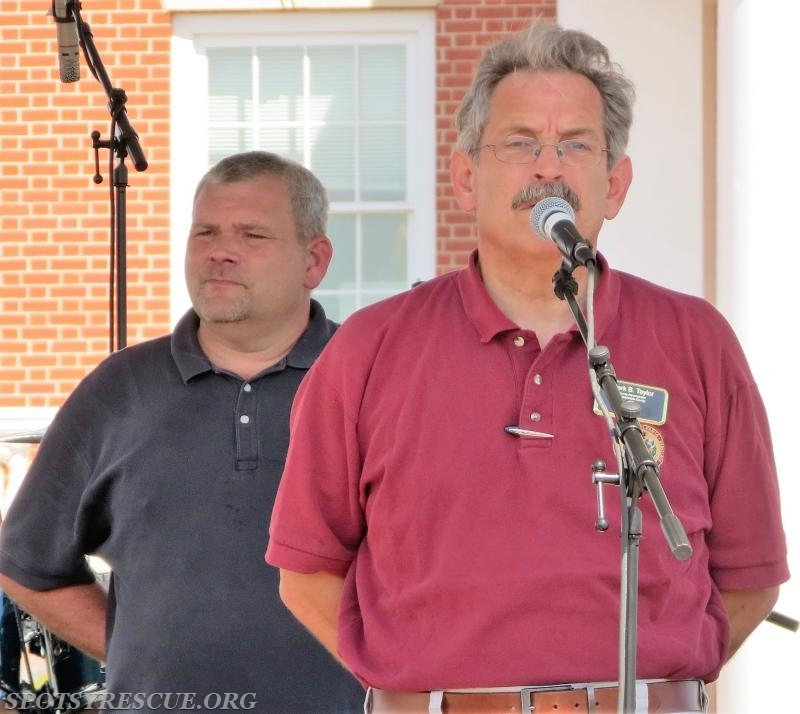 Chief Monty Willaford, Spotsylvania Fire, Rescue and Emergency Management; Steve Dove, President of Chancellor Volunteer Fire and Rescue; and Mark Taylor, Spotsylvania County Administrator all spoke to the crowd and shared their heartfelt thoughts for the honorees and their loved ones, as well as their support of this important national memorial. 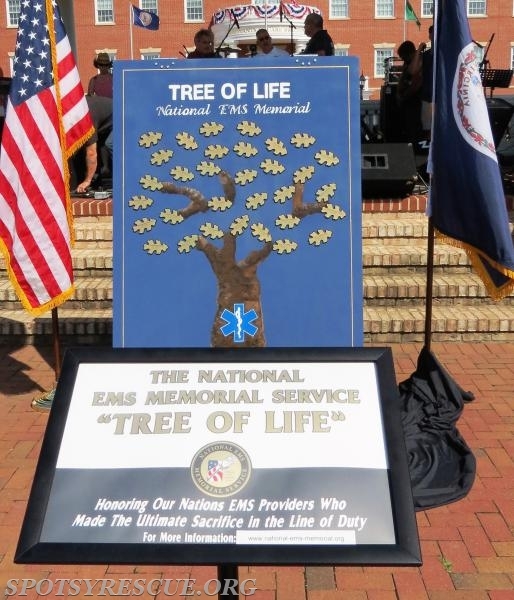 The “Tree Of Life” is a memorial to those emergency medical services providers who lost their lives in the line of duty, and has been a part of the National EMS Memorial ceremony since 1993. Each year, a new “Tree of Life” is painted onto a 4’ by 8’ plaque. Attached to the tree’s branches are individual bronze oak leaves – each with the name of an individual EMS provider who paid the ultimate sacrifice during that year. 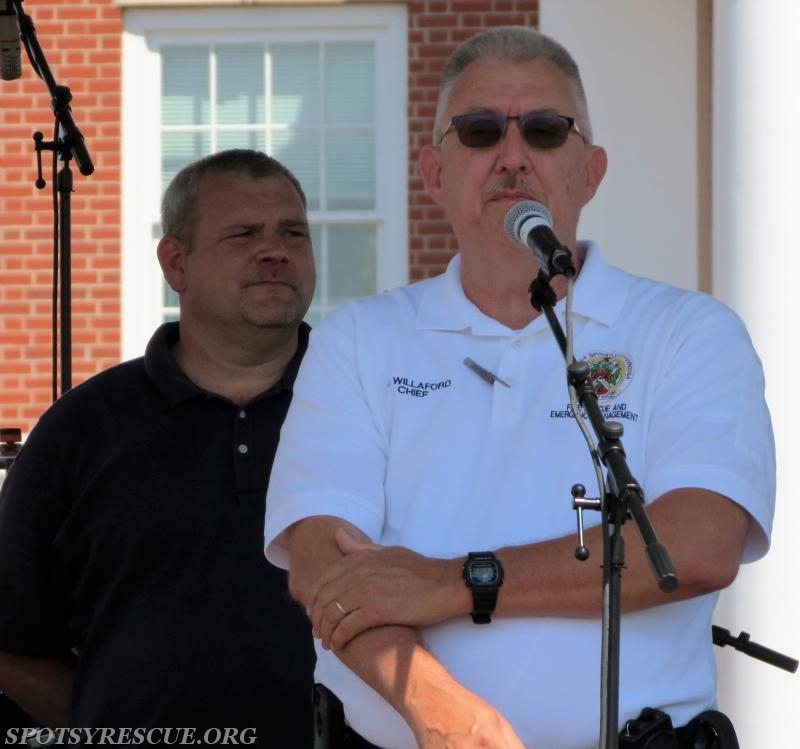 The National EMS Memorial Service was founded by Chief Kevin Dillard. 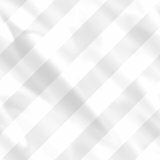 He still serves actively on the Board of Directors as the Founder and Past President. The Tree Of Life Memorial is currently on display at the Spotsylvania Holbert Building until July 31, 2016. Afterwards, it will be returned to its temporary location in Stafford County. 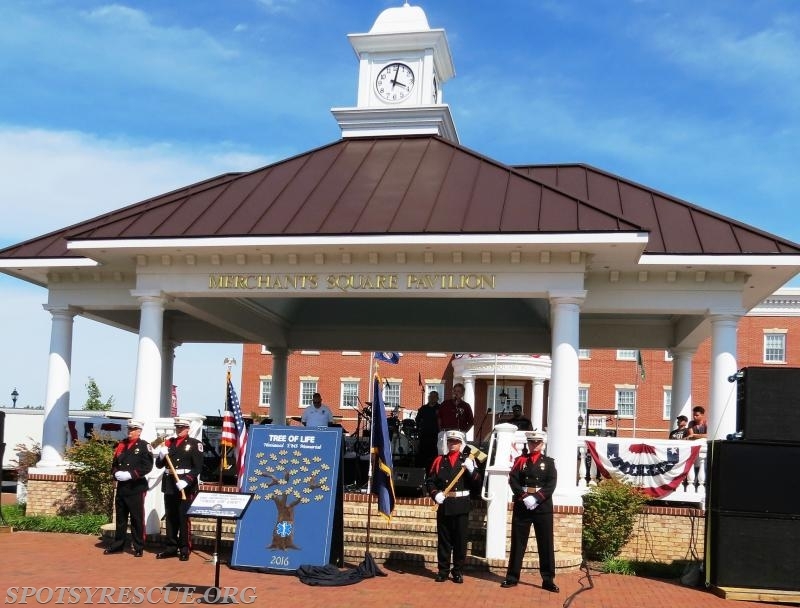 A memorial fund drive has been established to provide a permanent home for the Memorial in Virginia. Further information about the National EMS Memorial, the National EMS Memorial Service, and the Memorial Fund Drive can be found on the Memorial website: www.national-ems-memorial.org.